While I'm typing this, I'm actually fighting with pain because of puerperal mastitis, or generally known as breast infection. Weird enough, only my right breast is swelling and pain, and it just happened like that, no prior warning or symptoms at all. I felt super duper cold this morning and after I pull the blanket cover my whole body until my neck, I can still feel chilly. This flu-like symptom is really wearing out of me. I can't even fall asleep since midnight due to the swollen pain of the certain area of the breast. Mere pressure on the swollen area can cause great pain in me and I nearly teared this morning while Xuan Xuan is throwing tantrum, I'm trying to calm him down and his head bang on my chest, which is exactly the swollen part! WTFKNNBCCBIFEELLIKESLAPPINGHIMBUTTHANKGODIDIDNT!!!!! Being a mother is not easy, being a breastfeeding mother is definitely more hard and painful than those who feeds their child formulated milk powder. Okay, not everything about breastfeeding is painful, at least I get to see his satisfying face while I'm feeding him. LOL! I'm searching more info of puerperal mastitis on wikipedia right now and gosh, I didn't know that STRESS will cause breast infection too. Stress hormones will cause blockage of milk duct and eventually mastitis happens. I guess stress is one of the main factor of my current condition. 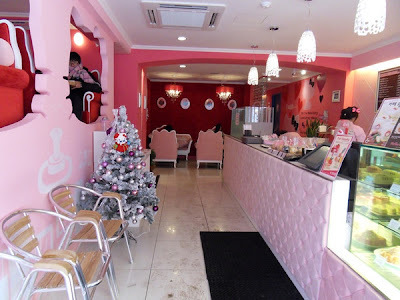 For more information about Puerperal Mastitis/Breast Infection, Click Here!!! Should learn how to breathe deeply and slowly to reduce the stress in me. Stressing myself out for this coming CNY is no fun at all. First time feel the stress of being an adult to prepare for some big festival. I wonder did MummyJoyce feel like this before. 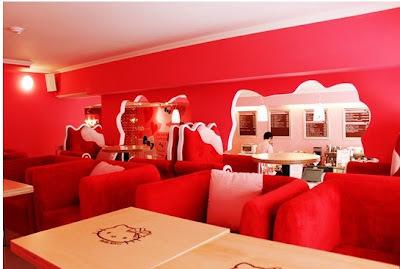 I wonder will this Hello Kitty Cafe's company chooses Malaysia as one of its future development plan by open a similar cafe somewhere at KL. 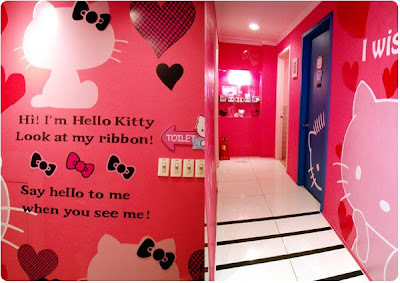 Definitely will be THE BOOM as I know lots of girls are crazily into Hello Kitty. 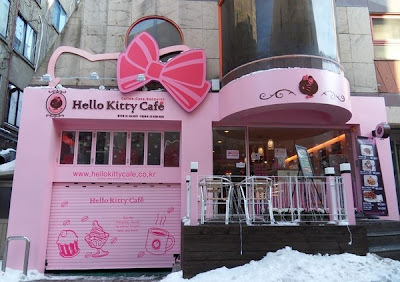 Even me, who is not a fan of Hello Kitty would love to pay a visit to this cute cafe. 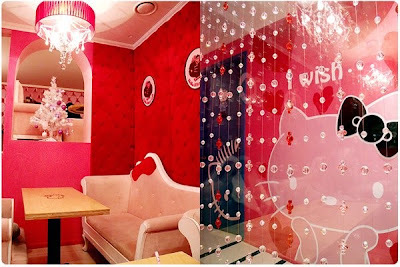 This Hello Kitty Cafe opened at Seoul, Korea. 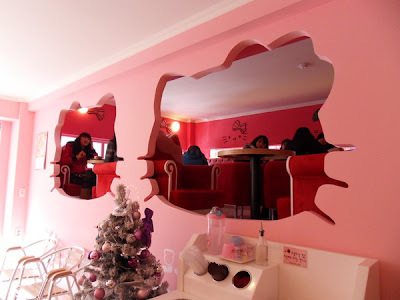 There's one located at Taipei, Taiwan too. 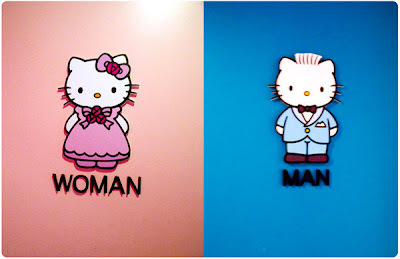 Do drop by if you are a big fan of Hello Kitty if you plan to visit these two countries in the future. 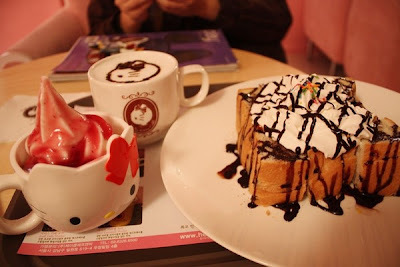 Heard they say the desserts are not that expensive, I think can be included in budget, no? P.S: Really gotta rest now. 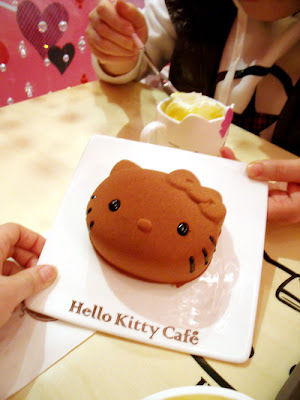 Still have so many things to blog about, especially those Nuffnang competitions! I don't wanna let the chances slip away just like that!!! I wanna try my best!!!! P.S2: Say "Bon Voyage" to me. LOL! Heading back to Ipoh by 906am, 09022010. Have a safe journey! Hope you are no longer in pain, get well soon. 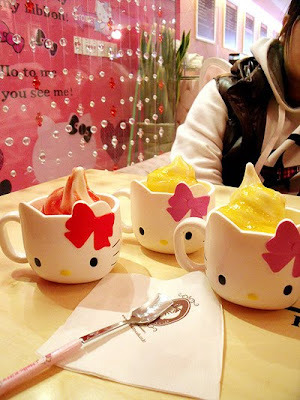 where is this hello kitty cafe? try to de-stress as much as you can, no fun during cny if you're stressed out. 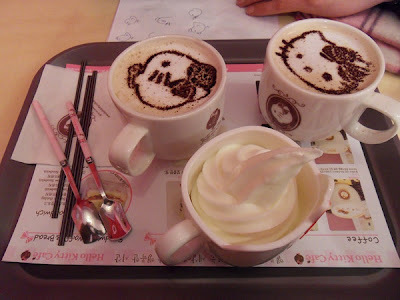 first time hear such thing..
Baby: It's at Korea and Taiwan.